We’ve done it. A bakery with food that tastes good AND is good for you. We’ve selected real foods that leave you feeling full, satisfied and happy. Foods known to nourish your body and taste delicious WITHOUT THE GUILT. The beautiful dark, rich color of our desserts comes from ancient whole grains, bean and root flours, as well as real fruits and vegetables. We use pure olive oil, cage free eggs and real butter for a decadently satisfying taste. To sweeten naturally, we use ingredients like demerara sugar, honey, blackstrap molasses and evaporated sugar cane. 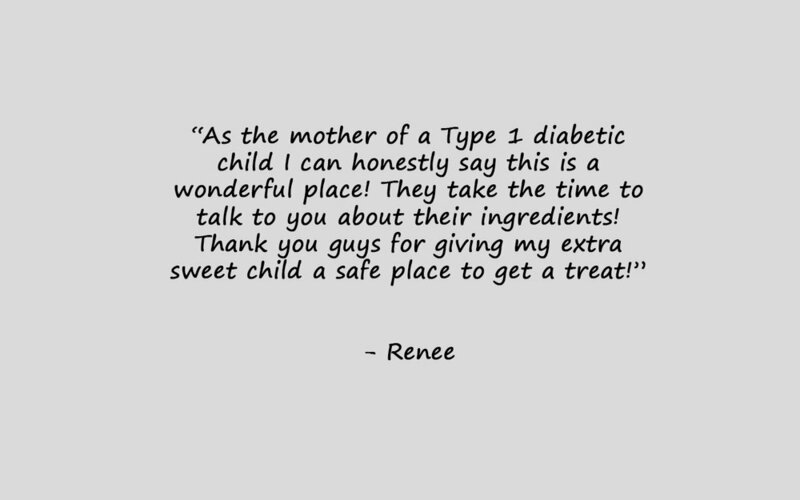 For sweet taste without sugar, we use an organic stevia/erythritol blend. We avoid wheat, corn*, and soy, which often have high levels of pesticides or have been tampered with so they are no longer in the form nature intended. You are unique and so is what you eat. We recognize that and offer a variety of options including gluten free, nut free, dairy free, vegan, keto friendly (low carb) and sweetened with organic stevia/erythritol. Our foods will support you in all walks of life, whether you are looking for better choices for your family, are an athlete who needs energy, or just have a good ol’ fashioned sweet tooth. Stop in to say hi! We’d love to see you. 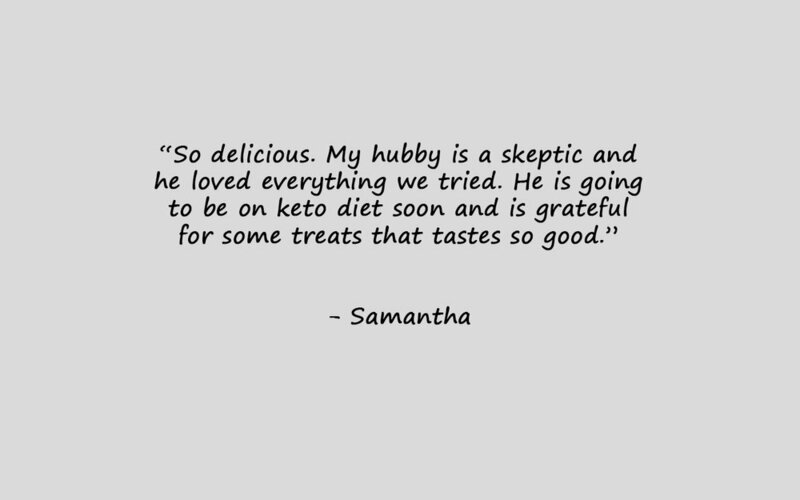 *Our keto friendly products use erythritol, which is derived from corn. We bake fresh and rotate our flavors every day. Want to know if your favorite is available? Give us a call or come see us! Want to bring ancient grains into your kitchen? We sell them by the pound! Your guests and loved ones will be talking about your unique dessert long after the event ends! Give us a call or complete the contact form to place your special order. 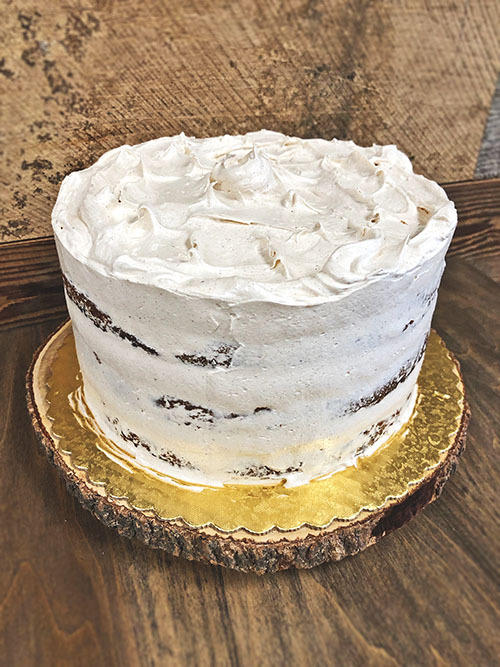 Our frosting style is simple and rustic, displaying all three layers of the cake. Cakes available as 3-layer round (6, 8, 10, 12, 14") or as a 1-layer half sheet. *Flavor not available as cupcakes. We always start with Ancient Grains. Some of our favorite Ancient Grains are Pure Dark Rye Berries (less gluten than wheat), Oats (gluten free) and Sorghum (gluten free). Ancient Grains are largely unchanged over the last several hundred years. Modern wheat, which has been constantly bred and modified, is not an ancient grain. We also prefer to use Whole Grains, which are higher in protein, ﬁber, vitamins and minerals than refined grains such as white flour. Ancient Whole Grains tend to have low Glycemic Index (GI) values, meaning they are slower to cause increases in blood sugar levels. Our gluten free flours are made with beans and roots such as Fava Beans, Garbanzo Beans, Potato Starch and Tapioca Flour. Pure Olive Oil and Real Butter infuse rich texture and flavor. They contain no carbohydrates, therefore they slow blood sugar levels when eaten with higher GI value foods. Then we load in colorful fruits and vegetables like Bananas, Carrots, Cranberries, Apples and Pumpkin. These powerhouses of nutrition give us energy and strength. We use Black Cocoa, which is dark in color and smooth in flavor to balance the bitterness of Natural Cocoa, which is high in antioxidants. 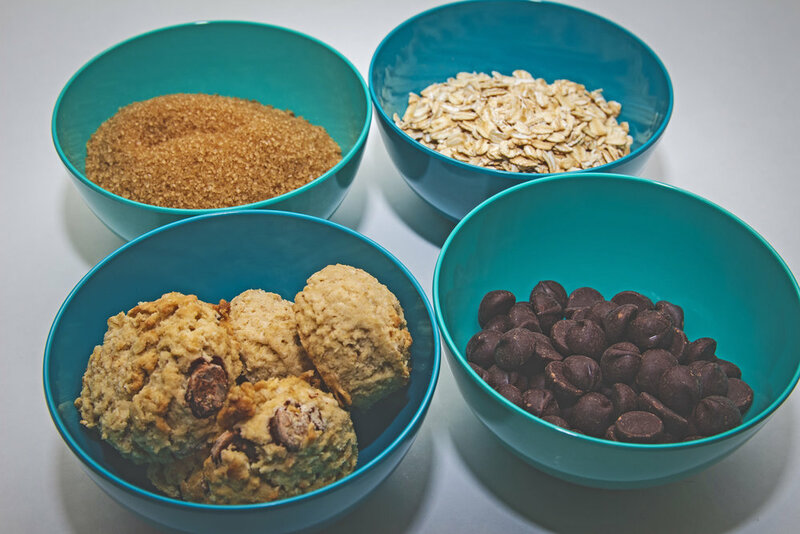 To sweeten naturally, we use ingredients that have vitamins and minerals like Honey, iron rich Blackstrap Molasses and Evaporated Sugar Cane, a less-processed sugar. One of our favorite natural sweeteners is Demerara Sugar, which is made from sugar cane juice that is evaporated and spun to form crystals. Our sugar substitute of choice is an Organic Stevia/Erythritol blend that provides the sweetness of sugar without the calories. Stevia is extracted from a plant whereas erythritol is a natural sugar alcohol derived from corn. Carefully selected ingredients that taste good and are good for you are the foundation of our mission. We are honored to be a part of your healthy body journey. called upon to nourish each other and their community. Angela struggled with her relationship with food for many years, until she became a mother. 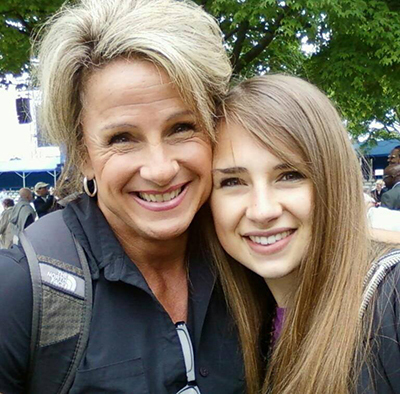 With the birth of her daughter, Kelsey, she was inspired to set an example by eating only real foods that nourish the body. As a former college athlete, she understood the importance of fitness and healthy food. Hitting the gym with renewed strength and energy, she was encouraged to go into bodybuilding. The pinnacle of her success was winning the Miss Tennessee Bodybuilding competition in 2008, and then earning 3rd & 4th place in Sprinting at the 2012 USA Track & Field Championships. During this time her highly curated meal plan included the carrot muffin and oat bar recipes she had developed with Kelsey. 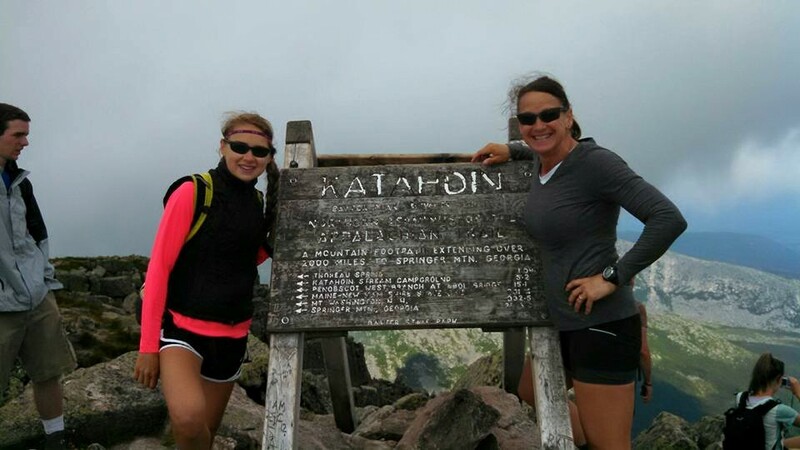 Angela and Kelsey at the end of their journey at the top of Mount Katahdin, ME. Angela and Kelsey continued to experiment with nutritious ingredients to create a portfolio of delicious recipes. In 2015, with the unwavering support of their husband and father, Conrad, they broke the mother-daughter supported speed record for hiking the Appalachian Trail in 106 days. While hiking the trail, Angela and Kelsey brainstormed the potential for a storefront to share their passion with everyone. Angela’s cakes had already earned their reputation among her friends and family for quite some time, and Kelsey had continuously challenged her to elevate her knowledge and skills as a baker. It was time to evolve. When they came off the trail, they had the business plan that brought Healthy Body Bakery to life. as it goes well with your soul.